So, it's winter, it's freezing out and the wind chill is no joke, but you still have outdoor recess?! Brrr! What can you do to survive? And how about your students? 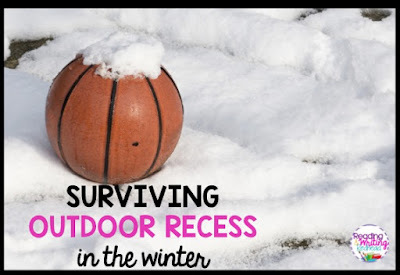 Check out my 10 tips for surviving outdoor recess in the winter! We all know as grownups we should layer on a cold day, but it is worth saying. I mean, I have been known to wear a short sleeve shirt and thin cardigan in the winter, forgetting I would have to stand outside for 15-20 minutes. It is a good reminder for adults and kids to layer. Long sleeve or short sleeve shirts under a flannel or sweater, with a warm jacket on top is just smart! Then if your classroom is hot, you just remove layers, or if like mine, it is chilly, stay layered up! Which could be as simple as still allowing kids to go on the playground equipment even in the winter! Some schools don't allow this, though and students stay on a blacktop the whole time. We encourage kids to keep moving during recess, and even if they want to just chat with friends to walk and talk. 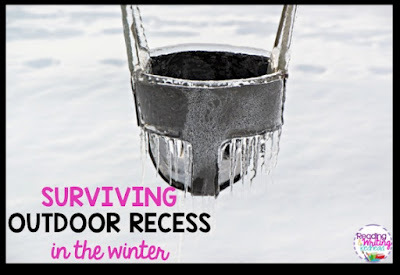 When I am doing my job as recess monitor, I literally walk around the playground in big circles, which enables me to keep an eye on everyone, see what all the kids are playing and helps me stay warm! I know this may sound silly, but especially at the beginning of winter, your students may need help thinking of what they could play at recess once the snow has fallen. 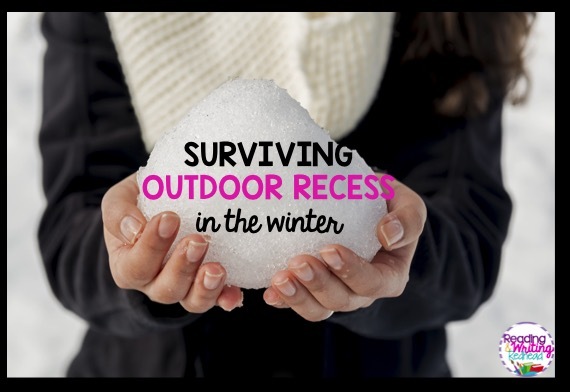 Simple ideas like building snowmen and making snow angels are classics but kids may need to get creative if they are stuck on a blacktop like at my school. They do plow the blacktop so some students at my school brought out sidewalk chalk and made a giant number line and wrote all kinds of counting patterns. The principal taught kids at recess one day how to play Red Light, Green Light (the students really didn't know of this game). 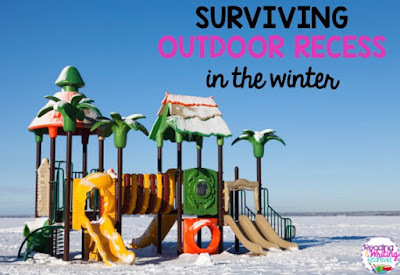 Some kids may like a simple challenge like running loops around the playground or relay races in or out of snow and some may enjoy building in the snow. Easier said than done right? And this often can depend on your student population. Do whatever you can to communicate with parents guidelines for cold weather clothing for recess. Send paper notices, post on your blog, tweet, share at open house, use remind.com, e-mail, put it in your newsletter and REPEAT. Remind folks to label their children's gear with their names too. 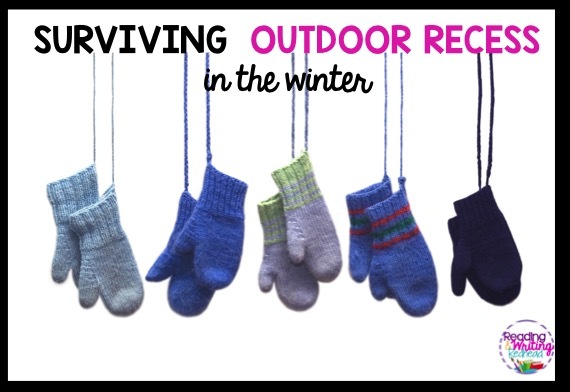 If your students do not always come to school with what they need, start early in the fall and get a school wide coat or mitten drive going (or both). Look into grants for your school to get spare jackets for children. Our school nurse has spare sweatshirts, coats and even shoes (we are lucky) for kids, and as a teacher you know we by things ourselves so try the Dollar Store and the Dollar Spot at Target for cheap mittens and gloves. Also, hint for you: keep a few extra tissues in your coat pocket for those students with runny noses in the winter weather! 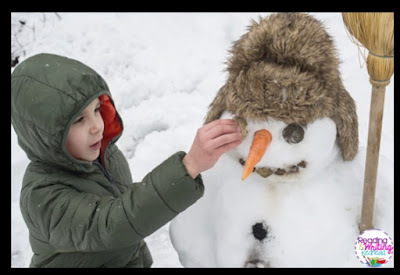 Kids could use hula hoops to create designs in the snow, balls could become parts of a snowman, empty sidewalk chalk boxes could be used to mold snow for parts of snow forts, and much more! I bet the students could come up with terrific ideas! Enough said! Check Amazon.com (click image below to see some) or sporting good stores for hand warmers for teachers! 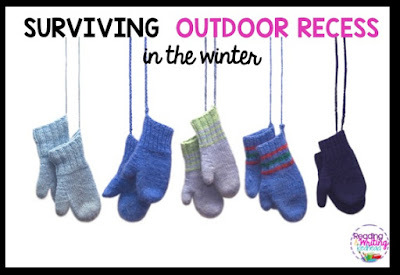 They came in very handy when I was in the marching band and we had to be outside with thin gloves on for all the football games, sometimes into December! This only works if you, the teacher are in charge of when you take out your class and if there is some flexibility. 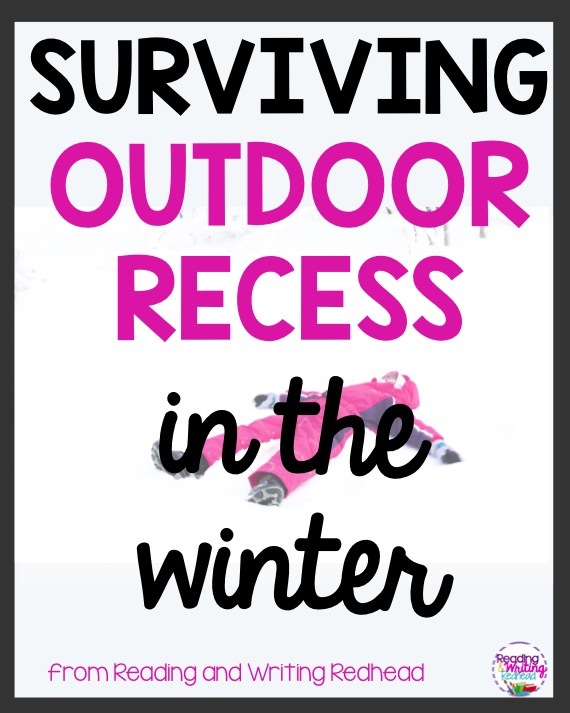 In my school's case, we can't change the recess times, but often in winter we have indoor recess for the 10 am recess, but go out for the 1:05 pm recess. I know, it's kind of a cheat, but I am only talking when it's really, really bad out there and I only mean one, two, or three minutes early. But we know the students take a few minutes to wander over and get in line anyway, never mind how long it takes them to quiet down and then enter the school and make it to their rooms. On the other end of recess, it does take longer for children to get coats, boots, etc. on so some may be late for recess too. 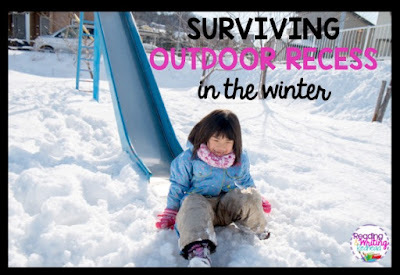 Kids should be very careful on icy patches or stay away from ice altogether and not pick up and throw ice or icy snow. If you are concerned that it is just too cold, or too windy, speak to your administration and advocate for your students and teachers. Call or radio your school nurse or 911. See Mayo Clinic for more information.